Another awesome doodlelope from Estivalia! I'm too embarrassed to post a picture of my letter that's is going out to her... it's shameful. 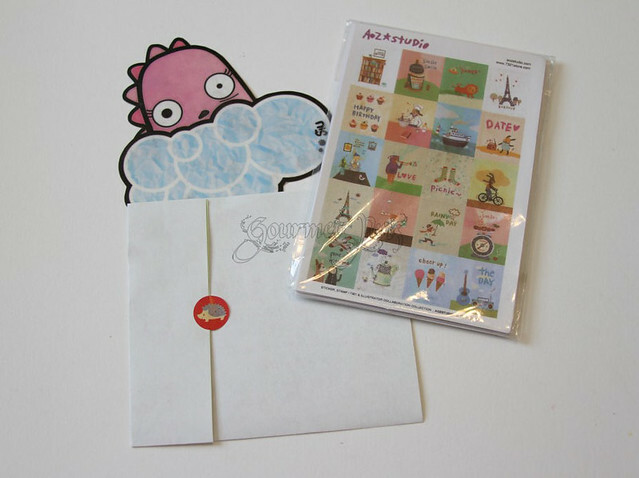 And inside this cutie envelope is a sweet letter, and a whole whack of wicked, unique stickers!! LOVE! 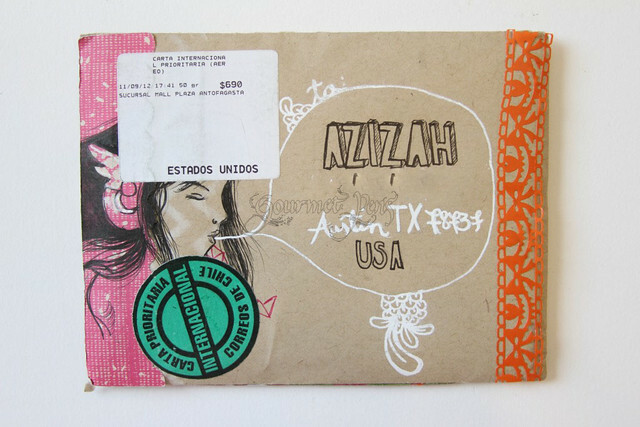 Last but not least, I received my second sketch giveaway win from Aisazia (Ethereal Voices)! 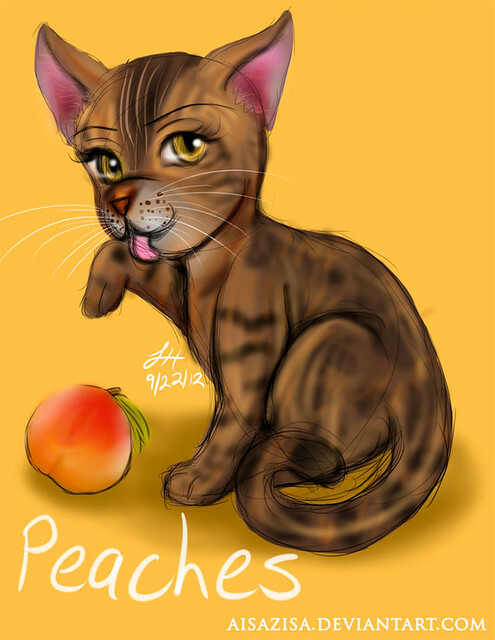 Aisazia drew Princess Peaches for me! And if you missed it, you MUST check out the Tyco sketch she did! Thank you so much for the amazing sketches - you totally nailed their personalities. Beautiful work! I love getting "good mail"! How delightful that must have been to open your mailbox and find that funky envelope. 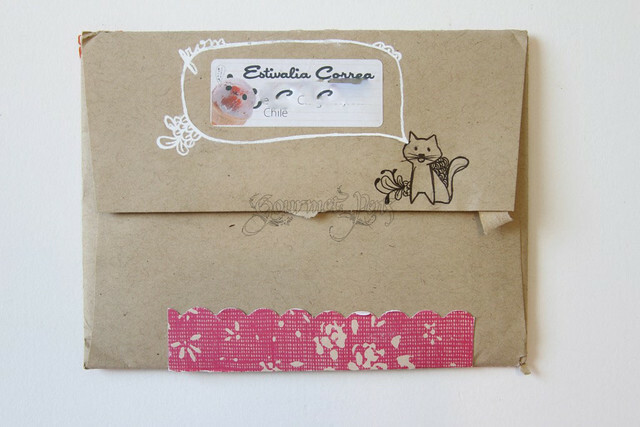 I love it when people get creative with envelopes and letters. Me too!! Especially because I lack creativity lol. Estivalia's awesome at this! I think this kind of letter makes your mail carrier's day too! Mine used to remark on the fun stuff that came to me.